Running is primarily an individual sport, but there is a growing group of runners who participate in the sport for the community and social benefits of it. But our lives are becoming increasingly fragmented with travel, people moving away, and growing distance between people who would normally run together. 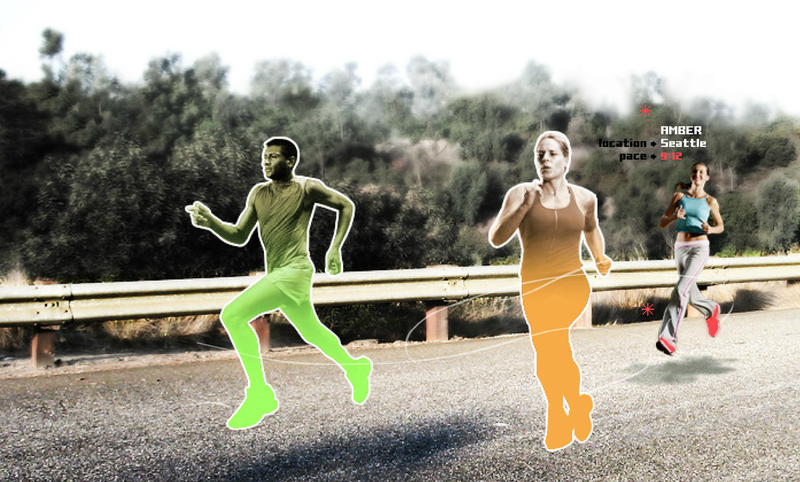 Run is a training and gaming system that allows casual runners to detect and run with other runners without letting geography get in the way. The system includes an intelligent shoe, a web site, a cell phone application, and an infrastructure that includes a series of experiences for multiple niche markets within the sports and gaming communities. Nikolai is running in Boston. He is currently leading the pack with a 7:48 current pace. His shoes are green to indicate that he's ahead. Syuzi is running in Boulder and is currently stuck in the middle of the pack with an 8:36 current pace. Her shoes are orange to indicate that she's in the middle. Amber is running in Seattle and is lagging with a 9:12 current pace. Her shoes are red to indicate that she's falling behind. Better step it up Amber. 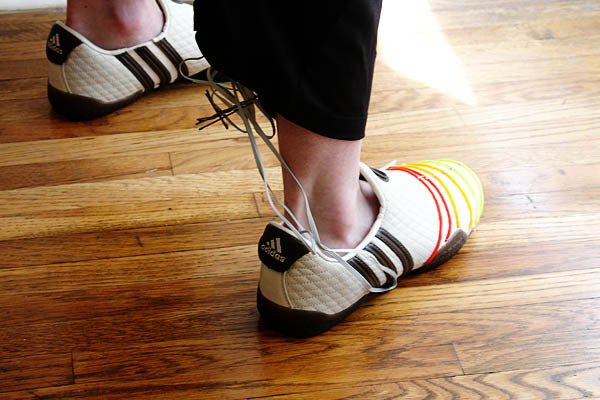 The prototype was built using EL wires to simulate the experience of the color-shifting fabric on the shoe's upper. This was then easily tested in the environment to evaluate the interface and ultimately adjust and refine the experience.